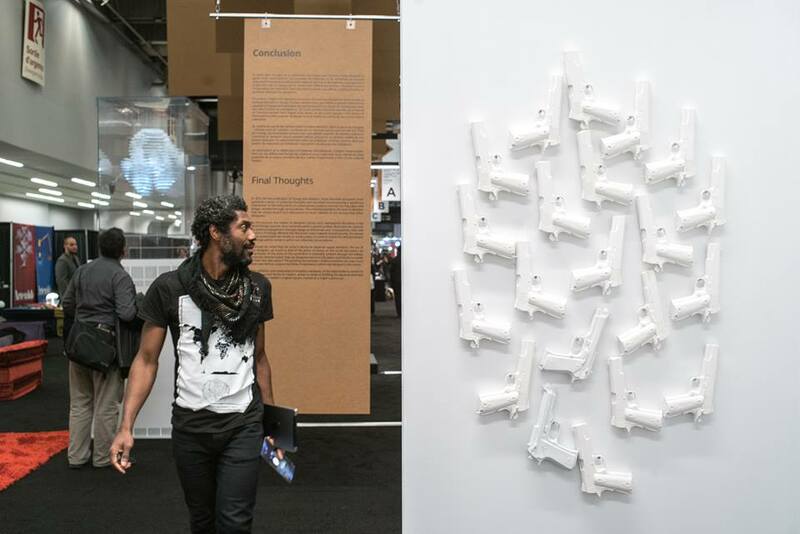 After six years of deep research into mass shootings in public places, multidisciplinary artist Stanley Février launches his COLOR OF STATE project — a global movement for citizen disarmament — during the open house of Studios Éphémères on Thursday, November 22. Born in Haiti and living on Montreal’s South Shore, the artist questions the gun-related tragedies of recent decades, reflecting on the value of life in a hyperconnected world. 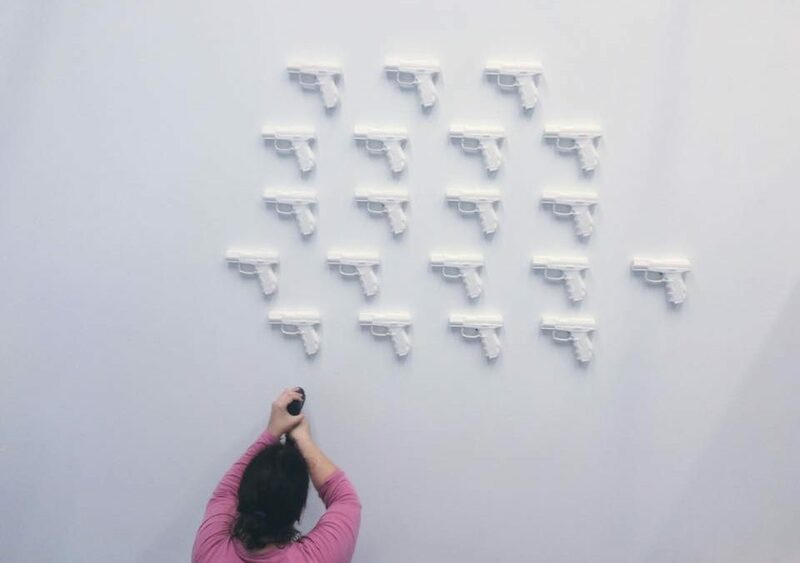 Since Février tries to use art as a tool for social change, his Color of State project aims to inspire a movement against gun violence and for more humane societies. 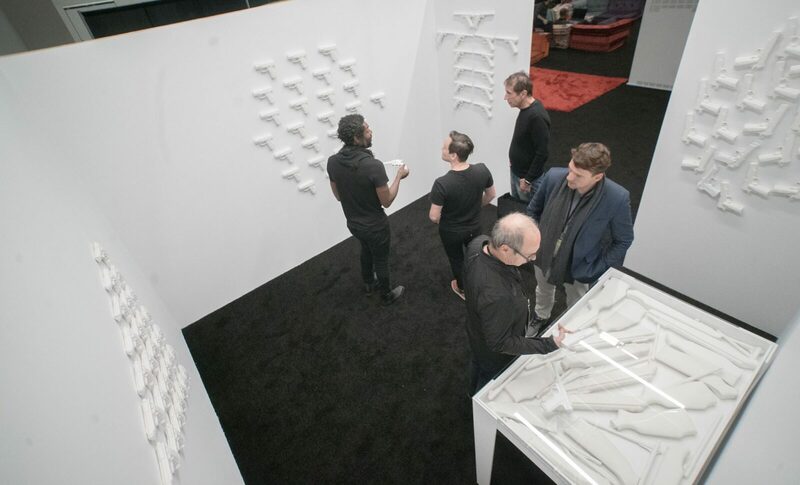 In the exhibition, Février presents an installation consisting of 172 objects — a gun store offering porcelain triggerless firearms and representing six major mass shootings that occurred in schools in the US and one in Québec : Bath Consolidated School (1927), University of Texas at Austin (1966), Luby’s Cafeteria (1991), Columbine High School (1999), Virginia Tech University (2007), Sandy Hook Elementary School (2012), and École Polytechnique (1989). 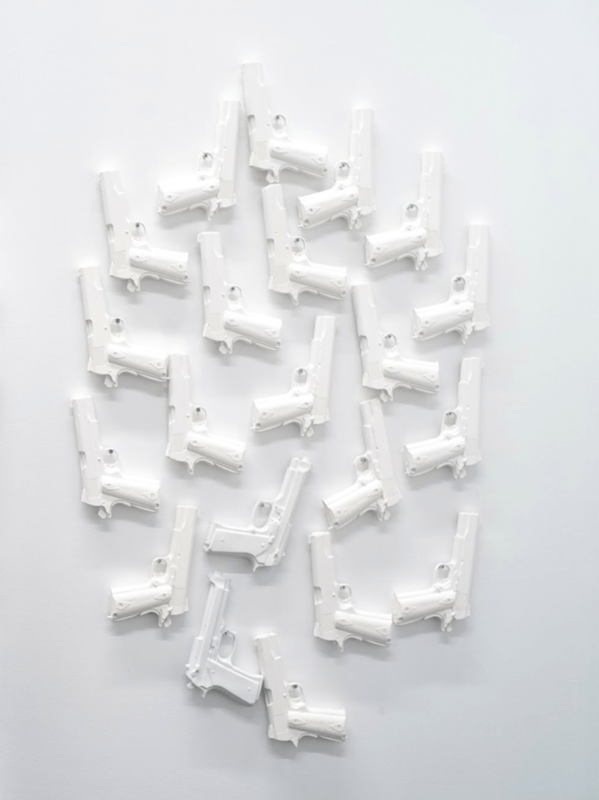 To create this artwork, Février acquired the model of the guns used for each event and then molded them to create porcelain objects. 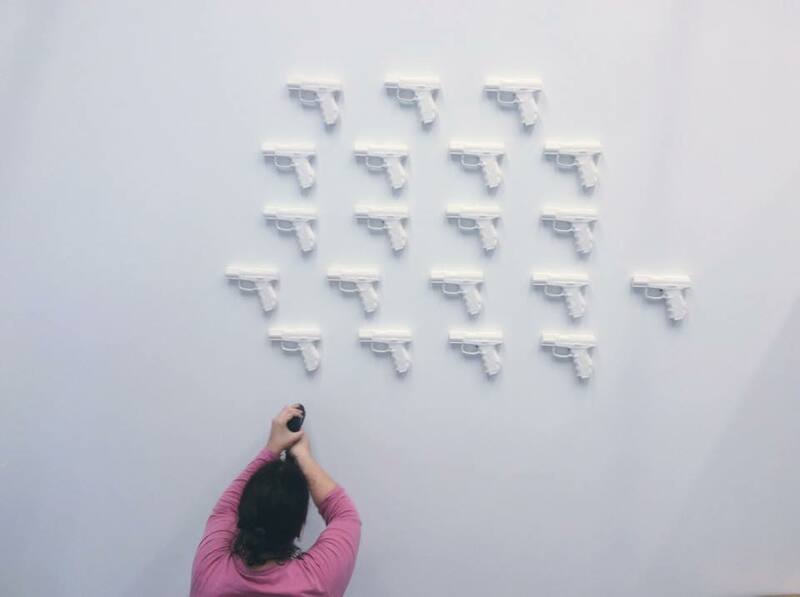 Wanting to give a voice to the victims of various mass shootings around the world, the artist invites the public to disarm and thus reduce gun violence and also, as a symbol of this commitment, to acquire a porcelain triggerless gun via the Web site www.colorofstate.com. 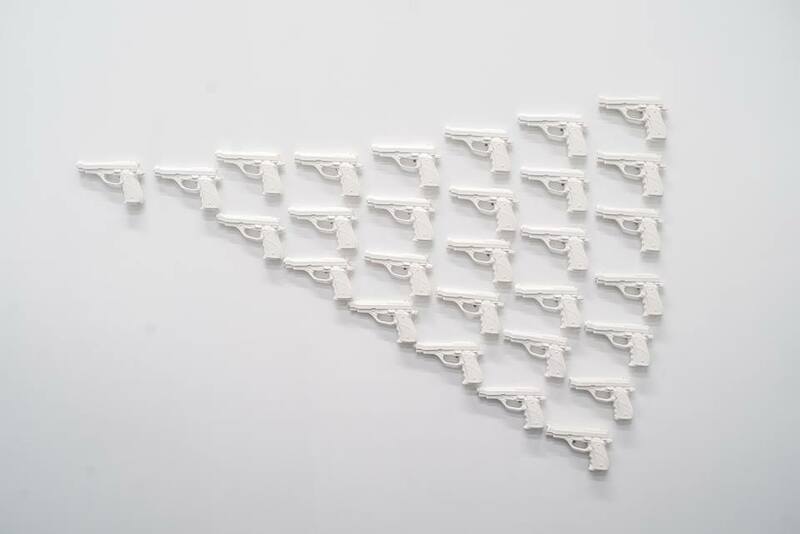 For this artwork, Février hopes to produce the same number of porcelain guns as the number of victims by firearms from 2012 to 2018 which is 190 848. However he will start by producing 20 000. 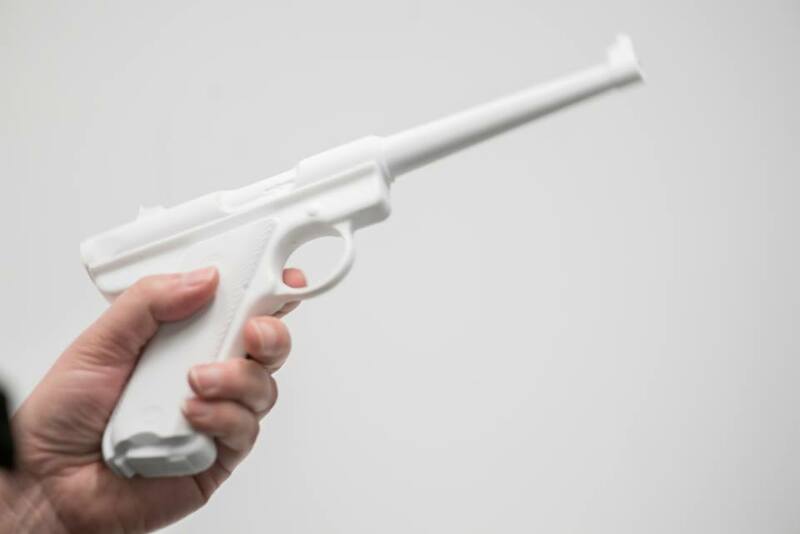 He thus becomes a manufacturer of triggerless porcelain guns, hoping to create a movement of citizen disarmament, an international artwork that commemorates the victims, hence denouncing the cruelty of gun violence in the cities around the world. 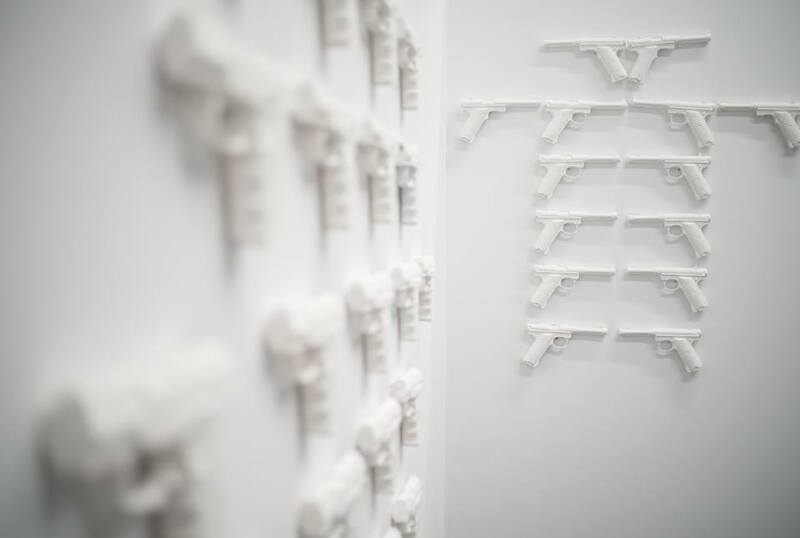 Although they are modeled on existing firearms used in mass shootings, Février chose porcelain for the fabrication of triggerless handguns because he seeks to oppose the extreme fragility of this material to the extreme hardness of the violence produced by the detonation of a firearm. In this regard, one must question the accessibility of firearms by citizens and their use in public spaces. I like this web site… it’s a master piece! I perpetually think about this issue. Thanks for posting.